Our Guide To Belize With Kids Is UnBelizeable! Tucked just underneath Mexico and next to Guatemala, tiny Belize is a unique Central American country with a ton of charm. Not only are trips to Belize filled with incredible Mayan ruins, but also gorgeous rainforests and countless Caribbean islands. Family travel to Belize can offer the perfect combination of history, beaches, and adventure. 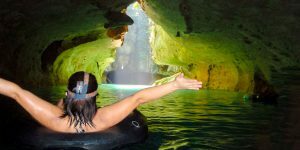 You can find Belize attractions such as ATM Cave, that will transport you back through time and fill you full of wonder, or the Blue Hole that will make you gawk at nature’s majesty. Another thing that makes Belize unique is its British heritage. The official language is English, making Belize a popular destination for travelers from North America looking to avoid language barriers. Our Guide To The Best Belize Attractions! Check out some of our most popular Belize blog posts. Looking for what to do in Belize? Whether you’re interested in the Belize beaches, adventures, or history. Here are the top experiences no visitor should miss! There’s a world of learning under the ground. 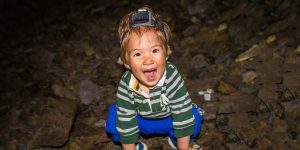 Check out which cave in Belize made our list of the top caves for kids! 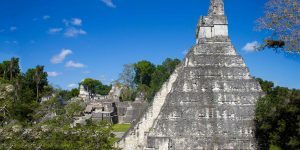 Belize is small, and that makes it easy to join Belize tours to incredible nearby attractions, like the Mayan city of Tikal in Guatemala. Belize uses the Belize dollar. It averages about $0.50 USD. You can check the current rate of the Belize dollar here. The Capital of Belize is Belize City. Belize city is the main port for people wanting to take boats out to the islands such as Ambergris Caye and Caye Caulker. Belize uses the North American standard 110v electrical system. Belize has a large, government-run cellular network that services most populated areas of the mainland as well as islands with large populations. Belize has a network of small highways throughout the country. Most rural areas are not serviced and fuel stations can be sparse outside of urban areas. Many of the roads in Belize are dirt roads and can be difficult to navigate during and after rainfall. Both the mainland and the islands of Belize have many experiences to offer those looking at family travel to Belize. 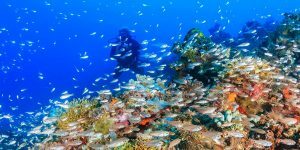 There are beautiful rain forests, incredible Mayan ruins (many of which are open to explore), amazing bird watching, and of course the coast of Belize has the world’s second largest barrier reef system.